Europe’s economy needed a jolt to recover some of its spark after the financial crisis. The Investment Plan for Europe aimed to provide that boost. Our economic models show it’s working. EIB economists used a well-established economic model to assess the future impact of the investments supported by all its operations during 2015-16, as well as of the loans it made specifically under the Investment Plan’s European Fund for Strategic Investments. 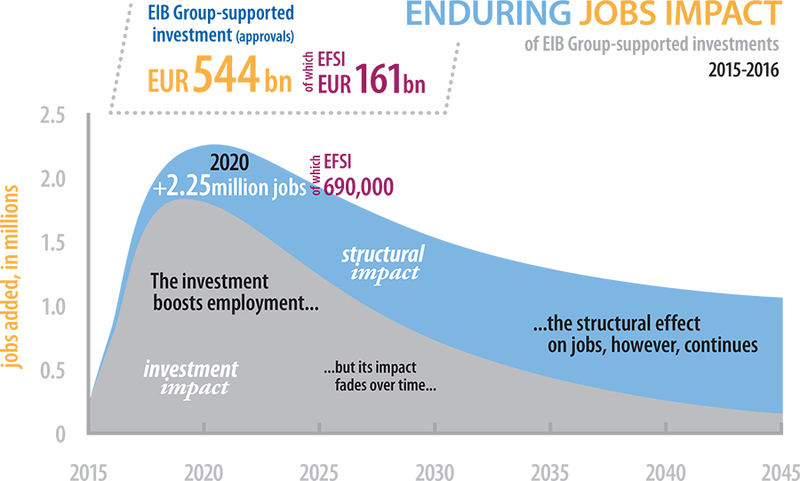 They found that the EIB Group’s lending is likely to have a major impact on Europe’s economy. To measure its impact, EIB economists had to account for the complex interaction between the Bank’s operations and other activities in the economy. The economists teamed up with the European Commission’s Joint Research Centre in Seville and worked with an economic model called RHOMOLO that was used to calculate whether increasingly scarce public financing was being used effectively. 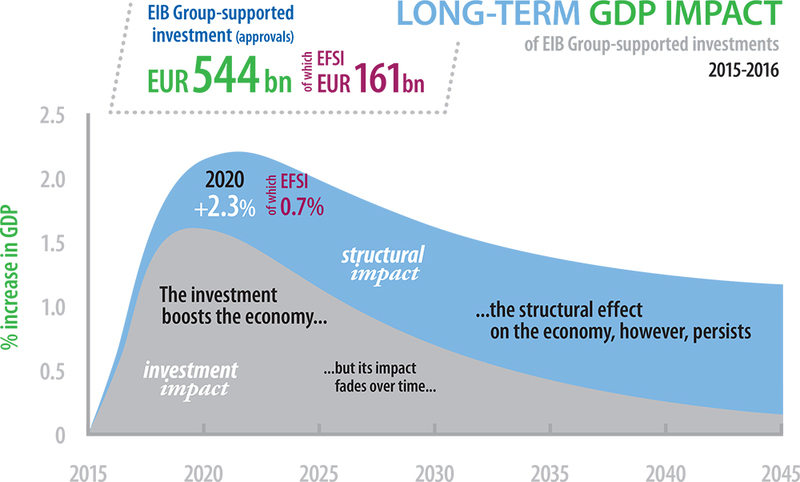 “We were conservative in the assumptions we made in the model,” says Georg Weiers, an EIB economist who worked on the study, “and yet the impact results are still very sizeable.”Once the initial boost to the economy dissipates, the study shows that the Investment Plan will continue to have a strong structural effect on the economy in the long term, just as other loans by the EIB Group do.